The Rolling Stones Rock and Roll Circus film is currently screening in selected theatres in Canada. For screenings see the Cineplex Canada The Rolling Stones Rock and Roll Circus pages. The Rolling Stones new compilation album "HONK" is released internationally today. For track details and packages see the RollingStones.com news entry HONK out now, and the IORR thread HONK - Limited Edition compilation out April 19. Mick Jagger has completed his heart valve procedure in New York, and is recovering and in great health, according to Billboard. He could be up an moving in a few days, but will need some additional recovery time before returning to the stage. See the Billboard article Mick Jagger Undergoes Successful Heart Valve Procedure, and the IORR thread Mick Jagger heart valve procedure successful. The music industry insider magazine Billboard is stating the rescheduled Stones tour might start in July. See the Billboard article Rolling Stones Rescheduled Tour Will Start in July, New Dates to Be Announced 'In the Next Couple of Weeks', and the IORR thread Tour Postponed : The Rolling Stones No Filter Summer Tour USA/Canada 2019. The Rolling Stones Rock and Roll Circus film will be screening on April 1, 3, 4, and 5 in select theaters in USA, including markets such as New York, Los Angeles, Chicago and Dallas. For details and tickets see the Screenvision Media web site The Rolling Stones Rock and Roll Circus, the Los Angeles Times article Rolling Stones’ ‘Circus,’ once lost and unfinished, will receive a theatrical release, and the Record Collector News article The Rolling Stones Circus Returns. Shelley Lazar, founder of SLO Ticketing and a pioneer of premium ticketing and VIP programs for artists including the Rolling Stones and Paul McCartney, died this morning. She was 69. See the IORR editorial Shelley Lazar in memory, and the IORR thread RIP Shelley Lazar. The Rolling Stones No Filter Summer Tour 2019 of USA & Canada has been postponed, as announced by The Rolling Stones today. New dates will be announced shortly. 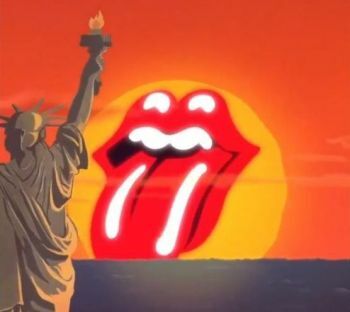 See the Rolling Stones news message US Tour Postponement and the IORR thread Tour Postponed : The Rolling Stones No Filter Summer Tour USA/Canada 2019. 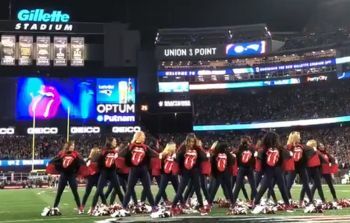 The Rolling Stones are currently all set for the No Filter 2019 Tour rehearsals. See the Rolling Stones message on Instagram, and the IORR thread The Rolling Stones NO FILTER Tour Rehearsals - March/April 2019. The Rolling Stones announced today their new compilation album HONK, due out April 19. See the RollingStones.com news entry HONK! and the IORR thread HONK - Limited Edition compilation out April 19. Keith Richards is ending his MOJO guest editor time with a scoop about the new Rolling Stones studio album: "We're in the studio in a couple of weeks, the whole kit and caboodle. The Stones with Don Was producing, in LA. We'll have it done this year, at some point. We'll put down as much as we can for a week or so, and then we're on the road. So we'll see what happens after that." See the IORR thread New Stones album for 2019? 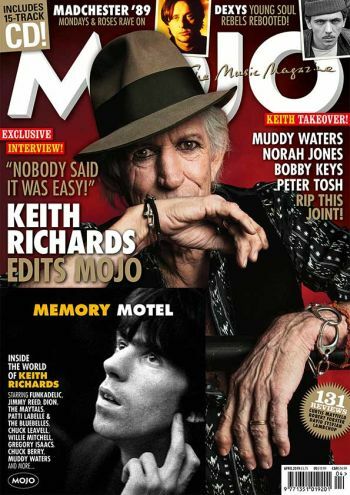 Keith Richards is the fourth ever MOJO guest editor, with the MOJO magazine April 2019 edition - in the stores now. The magazine is filled with the world of Keith Richards music, a CD with his choice of music, and a great interview. See the IORR thread Keith curates Mojo Magazine - april 2019. The Rolling Stones are confirmed for a show at the Burl's Creek Event Grounds, Ontario Canada on Saturday June 29. See the official pages of the Burl's Creek Event Grounds, and the RollingStones.com announcement Rolling Stones announce Canadian show. For tour and travel planning see the IORR Burl's Creek Ontario Canada 2019 travel and show info, and the IORR list of the No Filter Tour 2019 - confirmed and rumoured shows. Stones tongues have been showing up at central locations in Toronto Canada this week-end. 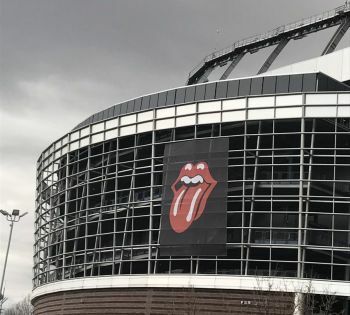 There are rumours about a Rolling Stones show on Saturday June 29 in the area, four days after the US tour will be ending in Chicago. 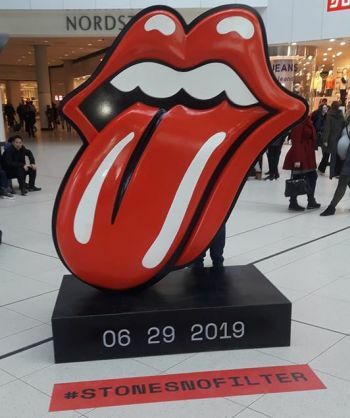 See the Toronto Sun new entry Are the Rolling Stones Toronto-bound with their No Filter Tour?, the IORR forum updates The Rolling Stones live in Canada 2019?, and the IORR list of the No Filter Tour 2019 - confirmed and rumoured shows. The Rolling Stones are confirming their show at the Jazz Fest in New Orleans on May 2, as previously listed on IORR as a rumoured show. Tickets go on sale Friday. 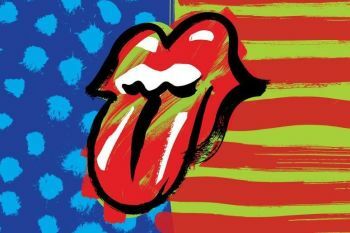 For details see the RollingStone.com news entry The Rolling Stones to perform at New Orleans Jazz Fest, the Jazz Fest official web site, and the IORR list of No Filter US Tour 2019 - confirmed and rumoured shows.